Alzheimer’s Australia Vic calls on the community to check-in on neighbours and friends during periods of extreme heat, especially people living with dementia, those who are older or living with a disability. Maree McCabe, CEO Alzheimer’s Australia Vic said people living with dementia and their carers may need extra support during the current heat wave. “A person living with dementia may need some assistance when it comes to coping with the summer heat. Knowing where to go for help is now a whole lot easier for people with dementia and their carers thanks to a new online service developed by Alzheimer’s Australia Vic at www.helpwithdementia.org.au. 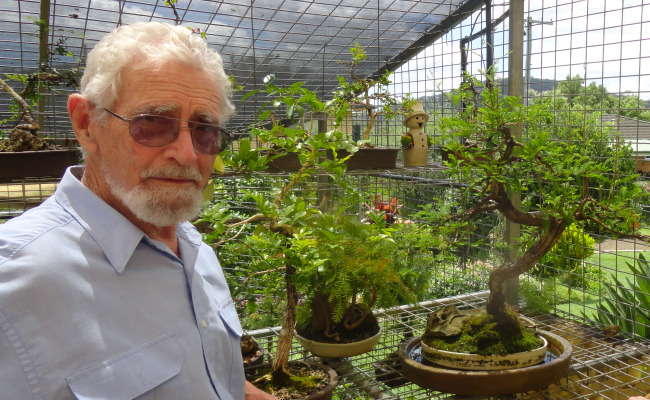 An enticing collection of 130 Bonsai trees will form a Christmas sale with a difference in Brisbane on Saturday December 12, with all proceeds donated to charity. Alzheimer’s Australia welcomes the government’s review of mental health services ensuring a 'no wrong door' approach to people experiencing mental health issues to ensure they get the specialist help they need. Depressive symptoms are known to occur in approximately 40-50% of people with dementia and comorbidities such as depression and anxiety are common. Providing learning experiences which touch, move and inspire participants to transform their dementia practice is the aim of all the educational courses released today in the suite of 2016 Alzheimer’s Australia Vic Dementia Learning Guides. Dr David Sykes, General Manager Learning and Development Alzheimer’s Australia Vic said our highly skilled team has extensive experience in a wide range of areas. Our comprehensive suite of education form is informed by current research, contemporary practice and many years of feedback from family carers and people living with dementia. The courses are part of an integrated learning pathway, incorporating both accredited and non-accredited courses, as well as online. “We provide tailored education for care partners and families that supports adjusting to changes and promotes meaningful engagement and confidence,” Dr Sykes said. 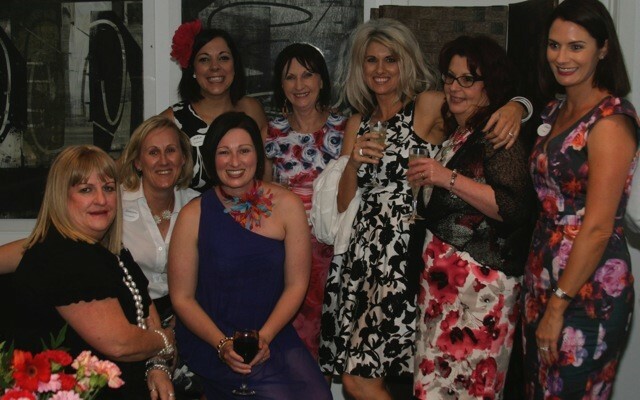 Fun, fashion and frivolity in Toowoomba has ensured a $15,000 charitable contribution to be shared between Alzheimer’s Australia Queensland and the Melanoma Institute Australia. Dementia Australia (VIC) has launched a new national resource - Engage, Enable, Empower at the Victorian Parliamentary Friends of Dementia event in Melbourne. A group of fourteen participants have joined forces to share their experience through a website and booklet that have been specifically developed by people living with dementia, for people living with dementia. Dementia Australia SA was delighted to welcome UK dementia champion, Gill Ayling to the Maptek Auditorium 8 September 2015 where she presented dementia-friendly case studies from the UK to highlight the key elements that make dementia-friendly communities possible. Alzheimer’s Australia welcomes the announcement of $43 million in new funding to be shared among seventy-six new researchers for dementia research. The Minister for Health, The Hon Sussan Ley said this commitment will support bold and innovative research ideas to tackle the huge impact of dementia and find ways of preventing and curing the disease that is currently the second leading cause of death in Australia. Who is caring for our Carers? This week is National Carers Week. 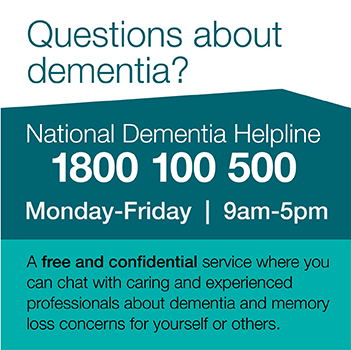 An estimated 1.2 million Australians are caring for a person with dementia. By 2029 Australia faces a shortage of more than 150,000 paid and unpaid carers for people with dementia. By 2050 the number of people over 60 is expected to double globally according to the new “World report on ageing and health 2015” released by the World Health Organisation (WHO). The number of people living with dementia in Australia is expected to reach almost 900,000 by this date. Alzheimer’s Australia CEO, Carol Bennett said “it is very encouraging to see that what the WHO’s report is calling for, is so closely aligned with what Alzheimer’s Australia has been advocating for - a National Dementia Strategy for Australia. Healthy move – aged care to Minister Sussan Ley! 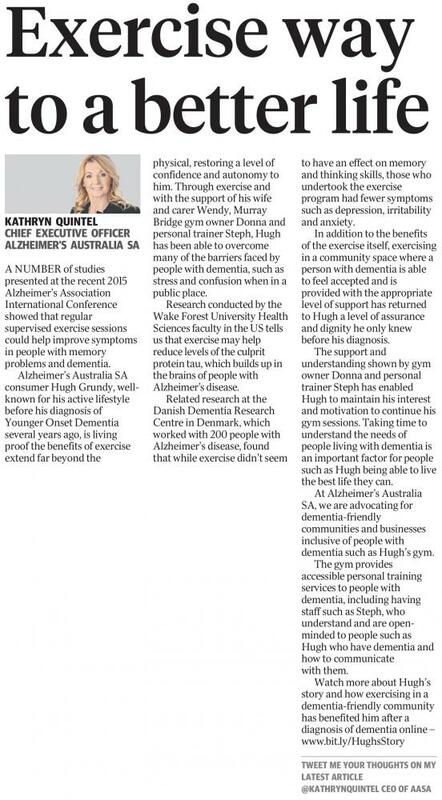 Alzheimer’s Australia welcomes the news that The Hon. Sussan Ley MP, Minister for Health and Sport is now also Minister for Aged Care. We also welcome Australia’s first Minister of Indigenous heritage, The Hon. Ken Wyatt MP, as Assistant Health Minister. As the second leading cause of death after heart disease, dementia is one of the Australia’s biggest, yet least understood conditions - with over 70 per cent of us admitting that we know very little about the disease. A quarter of Australians believe dementia is just a normal part of ageing and sadly, almost half of the population do not realise that dementia is fatal. The Port Macquarie community continues to make positive change in its move to become dementia-friendly with three new businesses signing up to the movement. Silver Service Hire Cars, MBC Recruitment and Settlement City have all had their dementia-friendly Action Plans approved and are all now working towards being dementia-friendly. For Settlement City Centre Manager Freddy Pittman, being a part of the Dementia-Friendly Community program made absolute sense to him and the organisation. Alzheimer’s Australia welcomes the appointment of The Hon. Christian Porter MP to the role of Minister for Social Services. Alzheimer’s Australia National President Professor Graeme Samuel said it was pleasing to have a Minister of Mr Porter’s calibre in the role. “Alzheimer’s Australia is looking forward to working with Mr Porter on the issues that affect more than 342,000 Australians living with dementia, their families and carers,” Professor Samuel said. Alzheimer’s Australia has a vision to develop dementia-friendly communities and organisations in Australia to reduce the stigma and social isolation associated with a diagnosis of dementia. The essence of dementia-friendly communities is to engage people with dementia in everyday life. People with disabilities have insisted on societies being inclusive and so should people with dementia. One of Australia’s finest dementia respite facilities opened today in the City of Mandurah to be operated by Alzheimer’s Australia WA. 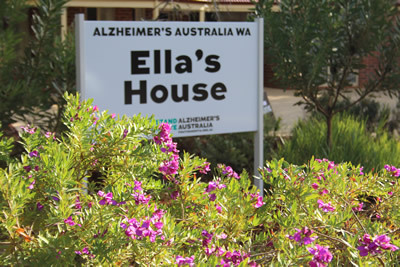 Ella’s House in Greenfields is a residential dementia hub catering for the growing number of people in the region who have been diagnosed with dementia and continue to live in the community. As part of Dementia Awareness Month, Alzheimer’s Australia Vic will launch an interactive light sculpture known as Affinity in the forecourt of Arts Centre Melbourne. Affinity was created by two Sydney-based artistic groups, S1T2 and amigo and amigo. Alzheimer’s Australia (Qld) has been joined by numerous state-wide organisations assisting in educational initiatives during national Dementia Awareness Month, culminating in World Alzheimer’s Day on September 21. Extensive forums involving representatives of Alzheimer’s Australia (Qld), aged care facilities, emergency service providers and advocacy groups continue to provide advice on how to equip communities as dementia friendly. A number of studies presented at the recent 2015 Alzheimer’s Association International Conference showed that regular supervised exercise sessions could help to improve symptoms in people with memory problems and dementia.